I went to grad school in both computer science and counseling psychology. So, I think a lot about people's programming--that is, what led them to their particular beliefs and thought patterns and how they self-perpetuate them. Which, of course, gets me pondering about the raw ingredients in my own psyche. And every so often, my unconscious offers a glimpse into the abyss. For example, this is what was running in my head when I woke from a dream this morning. In short, no surprises: My psyche is populated by 70s soft rock songs. They never die. I'm very sorry. I am considering donating my brain to science. 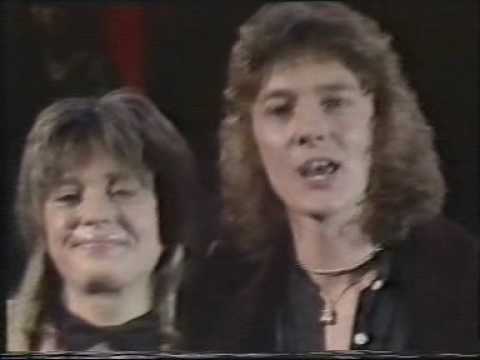 And Chris Norman, well... Smokie! The first album I bought myself when I've got my first own record-player has been "Changing All the Time". That has been parental approved "Rock-Music" in our house. Although my mother hated their haircuts. I still find myself to sing along to "Don't Play Your Rock 'n' Roll to Me" whenever it's played in a pub or hotel bar these days... and smile. Thank you for bringing all that back to me! And keep your brain!